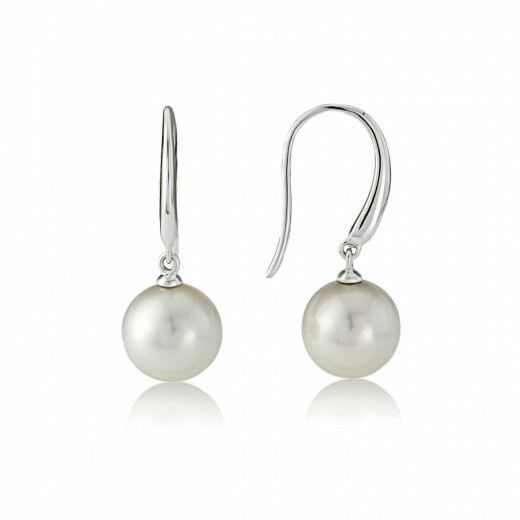 Pure and simple Pearl Earrings with a White Gold hook fitting. A classic pair of versatile Earrings to love and keep forever. 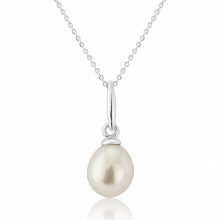 The round white Pearl hangs freely from the polished hook so that the Earrings move a little as you do. Wear every day at every occasion for an understated, classic finishing touch.